As per IQVIA MAT data released in December 2018, Tadalafil tablets, 20mg, had annual sales of ~$474.3mn in the US. Lupin, in a press note to the exchanges on Tuesday, informed that it has launched Tadalafil tablets USP, 20mg, in the US markets after having received the approval of the United States Food and Drug Administration (USFDA) earlier. "Lupin's Tadalafil tablets USP, 20mg, is the generic equivalent of Eli Lilly's Adcirca Tablets, 20mg. It is indicated for the treatment of pulmonary arterial hypertension (PAH) (WHO Group 1) to improve exercise ability," the company said in a press note to the exchanges on Tuesday. 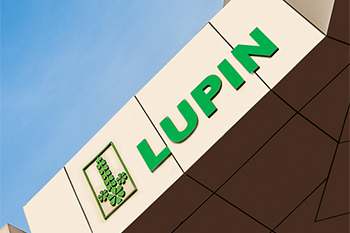 Lupin Ltd's share price is currently at Rs812.80, down Rs6.4, or 0.78%, from its previous close of Rs819.20 on the BSE. The scrip opened at Rs820 and has touched a high and low of Rs824.50 and Rs808.90, respectively. So far, 15,48,201 (NSE+BSE) shares have been traded on the counter. The current market cap of the company is Rs37,064.85cr.